In addition to being a basis for money, silver has been a constant fixture in daily life for thousands of years in various capacities. 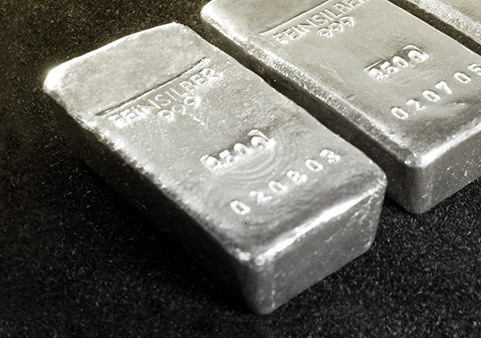 The emerging market investment demand will create a greater need for physical silver bullion, confirming the reasoning and value of investing in silver. Silver is a soft, lustrous metal with high electrical and thermal conductivity. It occurs in nature on its own, or as a byproduct of copper, gold, lead and zinc refining. It is largely used for minting coins, jewelry and silverware, but is also highly utilized for power and industrial purposes. Now is an ideal time to buy silver. Silver is mostly used in photography and industrial applications that provide a continuous and consistent need for this precious metal. The demand for silver consistently outstrips the actual silver supply. The ongoing deficit in silver supply versus demand indicates that an extreme drop in the price of silver is unlikely. There are different ways to hold your silver investments. You can store in a fully insured secure facility, arrange personal delivery, or invest in an RRSP account. If you would like to add silver to your investment portfolio, get started here.